NASA has yet to outline its approach to meeting the goal announced in a March 26 speech by Vice President Mike Pence of landing humans on the south pole of the moon within five years. This is an issue in particular among ESA member states, as the agency works to win approval for its role in the exploration program at a ministerial meeting in November in Spain. 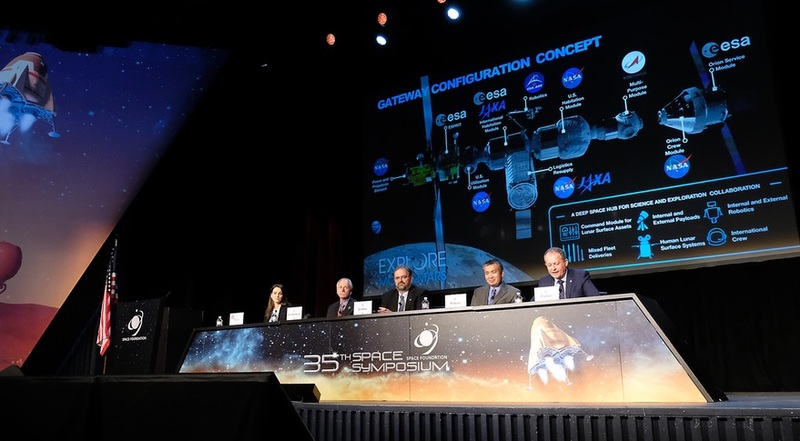 Bridenstine said he’s aware that partner space agencies need to convince their governments to participate in the program, a challenge potentially made more difficult by NASA’s change in plans. “I told them I’d be happy to make a trip out to Europe in order to give their political leadership the assurances necessary that our goals have not changed,” he said, citing language in Space Policy Directive 1 calling for a sustainable return to the moon with international partners.